State and local pageants are the heart of the Miss America Organization. Throughout the years, we've learned so much about what it takes to run, volunteer, and be a part of these pageants, that we wanted to share ten tips for making the best of your state or local pageant. There are so many elements to putting on a pageant that happen behind-the-scenes, from recruiting contestants to raising scholarship dollars. But the most public part of your pageant—and the element that people remember most—is the show that you put on for the community. Producing is no easy pageant, as many volunteers can attest to. And while we can’t tell you exactly what to do for your pageant, we can provide you with a simple to follow guide that outlines all the elements of a good pageant and a good producer. 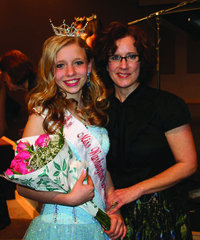 The relationship between a director and titleholder is highly important for many reasons. If you work together, you may find great success together and you will definitely find a lifelong friend. As a titleholder or a director, you know how powerful the relationship between a director and titleholder can be. 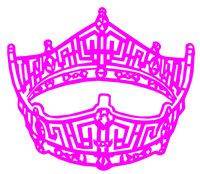 Together, you can make or break your pageant experience and create some wonderful memories. By achieving 501c3 status, you can change the way your pageant operates and makes money. Here is a step-by-step guide to applying for 501c3 status, with input with Miss New Hampshire Executive Director Brenda Keith. Whether you are trying to grow your pageant numbers or just diversify the pool, board members and volunteers have their work cut out for them. Contestant recruitment may be the most successful way to infuse your organization with fresh faces, not to mention new interest in the Miss America Organization. But what is contestant recruitment, and how could you make it work for your pageant? Read on. Florida's Jules Burt isn't an ordinary painter: She has an affinity for "glamour queens." 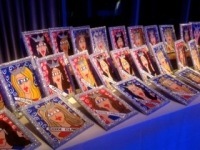 And be they members of the homecoming court or Miss America herself, Jules is glamming up caricatures for contestants across the country. “If your hair doesn’t move when you’re done spraying it, you’ve gone too far,” said Christopher Michael, master stylist at Cheeky Strut Salon, in Michigan. Michael, a hair stylist for more than a decade, has worked on Emmy Award-winning TV shows and traveled nationally doing education and platform work—and he has a visual for you. “You know how those beautiful gowns move when you walk? Think of hair as an extension of that feeling. It should also be allowed to move. It’s more interesting.” In other words, do your best impression of shampoo commercial model with soft, flowing locks, and you’re on your way to what’s really attractive. The stakes are high in Washington, D.C., as are the expectations for professionalism at a level standing as resolute as the pillars of the Capitol. There’s no time to ease into a year of service for titleholders representing the nation's capital, and if the Miss District of Columbia Scholarship Organization Executive Director Teri Galvez has anything to do with it, her young women will be ready. Ever wonder how state and local judges choose titleholders? Want to know what criteria enables them to find the right young woman for the job of Miss Local and Miss State? Join the Miss Connecticut Scholarship Corporation for its upcoming Judges' Seminar and learn everything you need to know about how to be a judge! If someone documented your closet with a time-lapse camera, over time you might see quite the evolution: One day you’re charmed by anything floral print or Bohemian—only to outgrow it for the security of stripes and their clean lines and orderliness. Trends come and go, so it’s important to find style that suits your personality. Call it intuitive style, if you will, but every age deserves a fashion rebrand.